The province of Yamato (大和) was the center of Japanese culture during the Nara (奈良) period before the capital was transferred to Kyôto (京都) in Yamashiro (山城). At the end of the Heian (平安) period a number of sword making schools were founded and flourished in the Yamato (大和) area that was in close proximity to the cultural center of Nara (奈良). This was an area of a great many powerful Buddhist temples, many of which sought to arm themselves to guard their rights and property. Accordingly, five sword-making schools were founded and patronized by powerful temples for that purpose. The five schools were the Senjuin (千手院), Tegai (手搔), Taima (当麻), Hosho (保昌), and Shikkake (尻懸). These temples had a nationwide network that spread the fame of the smiths of these schools creating a great demand for their swords. 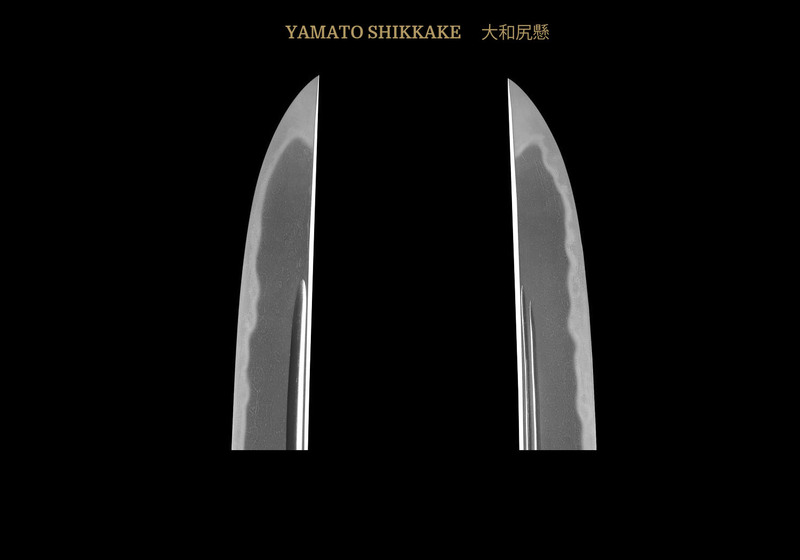 It is for this reason that we find the Yamato (大和) sword making school characteristics as the foundation for many of the sword making schools that followed throughout Japanese history. The founder of the Shikkake (尻懸) school is traditionally said to have been Norihiro (則弘) who lived around the end of the Kamakura Era. 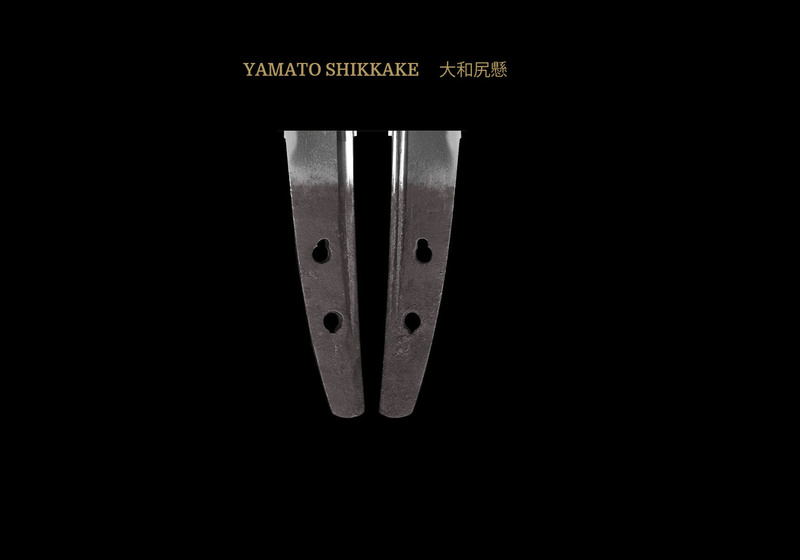 However, since there are no authenticated extant examples by him, his son, Norinaga (則長) is most often given the title as founder of the Shikkake (尻懸) school. According to the Meikan, the first generation was active during the late Kamakura period, circa Shoô (正應) (1288-1293); however, it is believed that there are works dating to earlier periods than this, and there are later works dated Bunpô (文保) (1317-1319) and Ryakuô (曆應) (1338-1342). Fortunately Norinaga (則長) left us a good many examples of his work and some of them are dated which aids us in placing him at the end of the Kamakura and beginning of the Nanbokucho Eras. 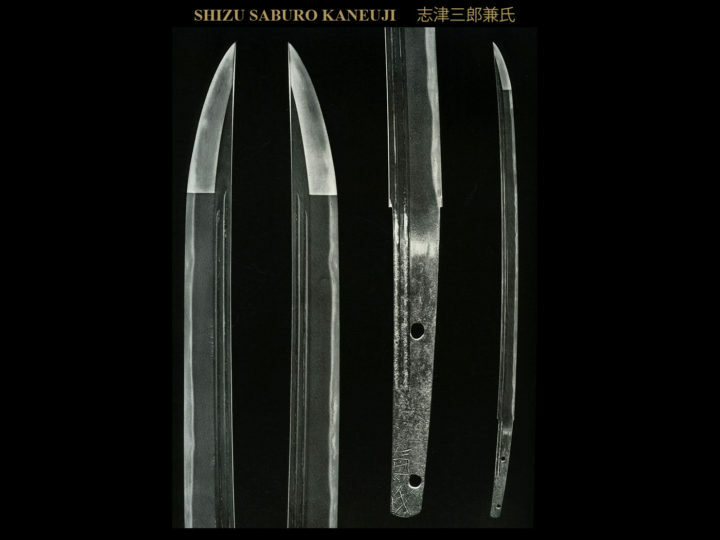 One example, in fact, is signed in the year 1341 and states that he made this blade when he was sixty-nine years old. This would allow us to estimate his birth around 1272. 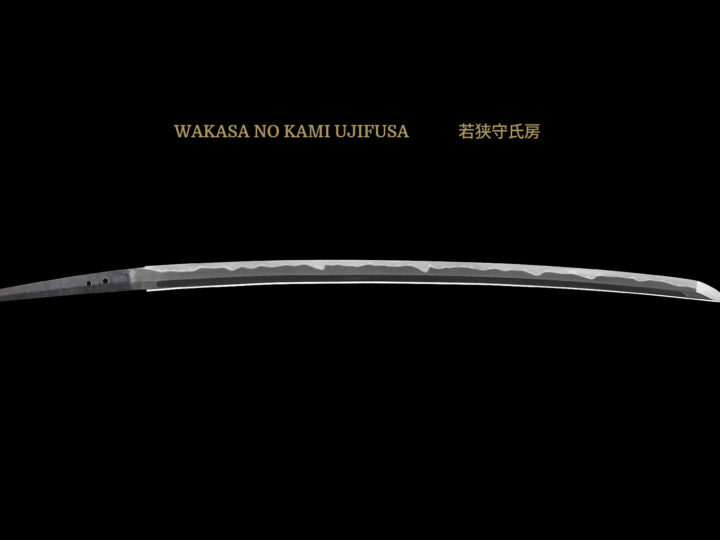 While swords with Norinaga’s (則長) signature are not particularly rare, most other Yamato (大和) swords produced around this time are unsigned. The name, Norinaga (則長), was handed down through several generations continuing into the beginning of the Muromachi Era. Other smiths of this school are Norihiro (則弘), Norizane (則真), Norinari (則成), Norisada (則貞), and Norinao (則直). Signed works by these smiths are exceedingly rare. 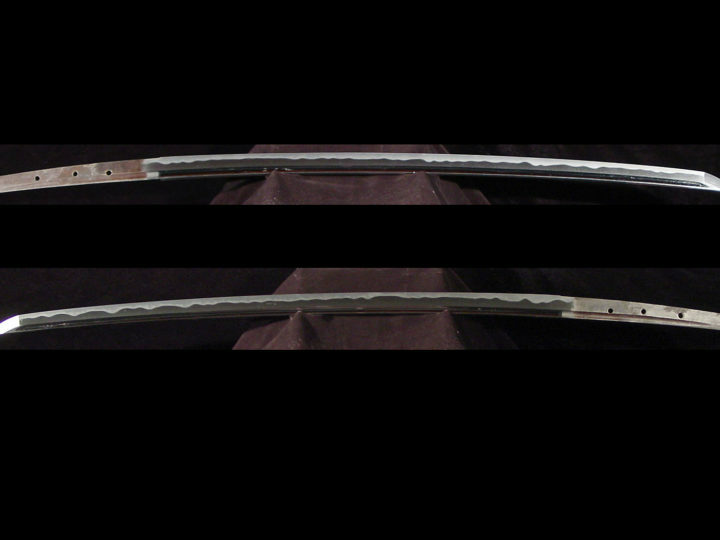 SUGATA: Both tachi and katana are generally shinogi zukuri with a high shinogi. The shinogi haba (width) will be wide and they will be iroi mune with the iori being high. They will be torii sori with the sori being relatively shallow. As for tanto, there are hira zukuri and unokubi zukuri, iori mune, but there will be found some with mitsu mune. The sori will be musori and, on occasion, chukanzori. 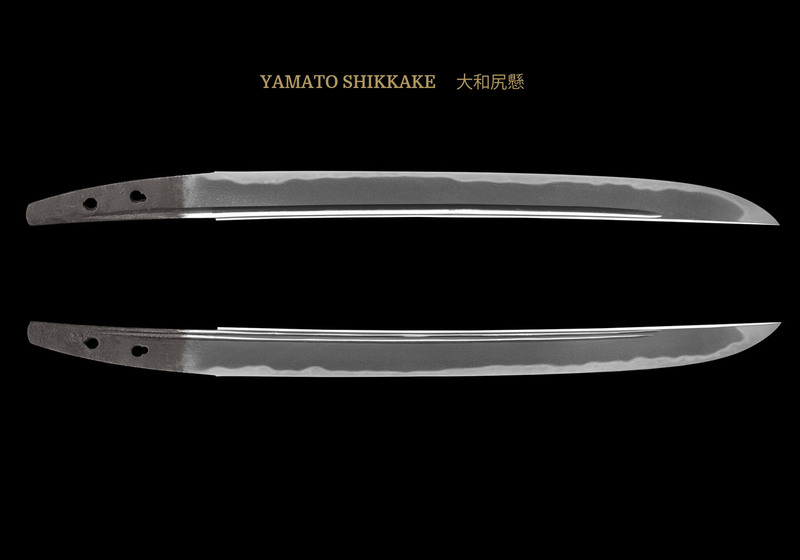 JITETSU: The jitetsu will be a mixture of mokume, itame and masame. Often mokume hada will appear along the shinogi and into the ji area with masame along the edge of the hamon. This is called shikkake-hada. There is chikei, abundant nie, and rarely, yûbashiri will be seen. HAMON: It will be nie deki. Suguha, and ko-midare with a gunome-tsurute (the gunome loops are connected to each other) are the most common. There is nijûba and a great deal of other activities within the hamon. Uchinoke, hakikake, small kinsuji, inazuma, nie, nioi, ashi, and others are often found. BÔSHI: Generally, ko-maru or in yakizumi. There will be abundant nie and the tip will generally be hakikake. NAKAGO: It is comparatively long ending in ha-agari kurijiri and kengyo in most cases. 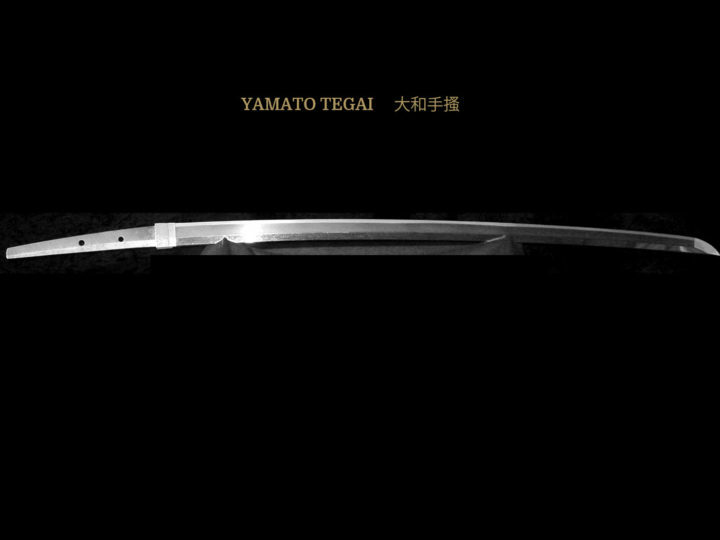 Tanto will also have iriyamagata that are conspicuously ha-agari. Yasurimei are sujikai, katte sagari or kiri in most cases. There is some debate as to exactly which generation signed which way, but it seems to be agreed that the first two signatures above were used by the first two generations.